In the 19th instalment of a series on black rugby legends, JOHN GOLIATH looks back at the career of former Kwaru and Saru prop Lucky Mange. In the modern game, front rowers are expected to do more on a rugby field than just run from set piece to set piece, pack down in the scrum or lift their jumpers in the lineout. The modern prop is expected to carry the ball, hit rucks and make more than just a handful of tackles. They need to be able to handle the ball like a backline player and be used as a decoy before making that ‘behind the back’ pass. 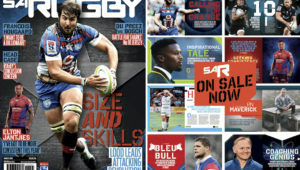 The Springboks have a couple of dynamic props at the moment, with players such as Steven Kitshoff, Trevor Nyakane, Coenie Oosthuizen and Thomas du Toit embodying those traits of the modern big man. 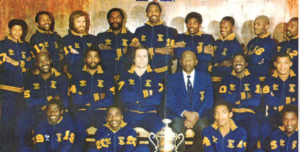 But in the 1970s and ’80s there was a prop from the Port Elizabeth township of New Brighton who displayed those characteristics long before they became essential parts of the game. Spring Rose and Kwazakhele Rugby Union(Kwaru) star Lucky Mange, who went on to earn his South African Rugby Union (Saru) colours, was way ahead of his time in this regard. Mange was a prop who could run fast and handle the ball like a back, but was also a fierce and crafty operator at scrum time. It probably helped that Mange, as a junior, started off in the backline and in the back row, but he soon moved to the front row after putting on few extra kilos to go with his natural power and athletic abilities. Mange is still considered one of the best props in the history of non-racial rugby, but the man himself would have loved to test himself against his white counterparts who were competing in the segregated Currie Cup during the dark days of apartheid. 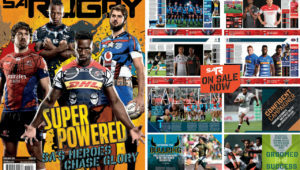 Mange fondly remembers the brutal battles against the Western Province and Eastern Province teams who played under the Saru banner, and how competitive the rugby was. 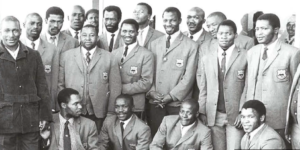 ‘The rugby we played was really tough; the matches against Tygerberg, Western Province and Boland were always tricky, while we had great derbies against Eastern Province too. Mange has been involved in coaching and served in various positions in the Eastern Province since unity. Development of young players is his biggest passion, and many black rugby stars have come through his hands. 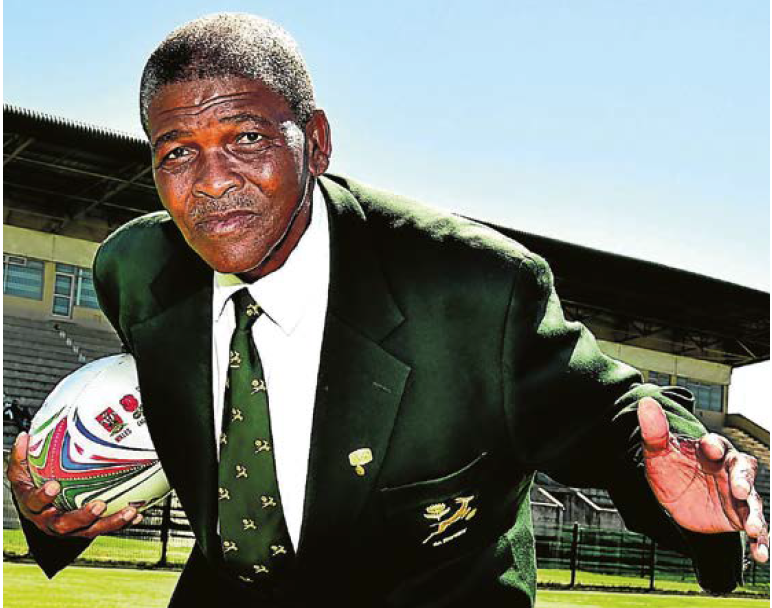 Springbok assistant coach Mzwandile Stick, the late Bok flank Solly Tyibilika and former Bok flank Thando Manana were all moulded by Mange in one way or another. In an interview with SuperSport in October 2017, Mange spoke about Tyibilika as one of the most talented players he had ever coached, and a player who was unfairly branded a quota player, despite his performances at provincial level. 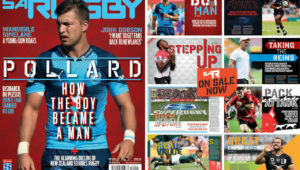 Mange certainly knows how to spot talent, but is concerned that the current generation of youngsters lack the skill and the rugby know-how when they find their way into senior rugby. He is worried about the lack of ‘match intelligence’ and that today’s young players struggle to make the correct decisions on the field. 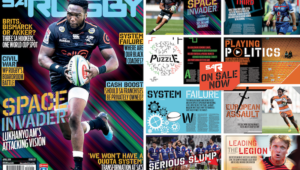 He refers to the fact the Junior Boks haven’t won the annual World Rugby U20 Championship since 2012, when it was played on home soil, while South Africa’s Super Rugby teams and the Springboks’ results haven’t been great for quite some time now. ‘I don’t think today’s kids are as passionate about the game,’ says Mange. ‘Back in our day, growing up, we just wanted to get out there and play in the street or on a piece of land. Mange was taught his rugby in the dusty streets of New Brighton and became one of the most talented props in the history of this country. Maybe it’s time for today’s youngsters to get back to those kind of basics.